KDI kitchen and bath is a family-owned and operated kitchen and bath specialist, catering to remodels and new home builds in South East Michigan. Our focus is on excellent customer service whether you need a full-service renovation or you’re working on a DIY project and just need some advice. 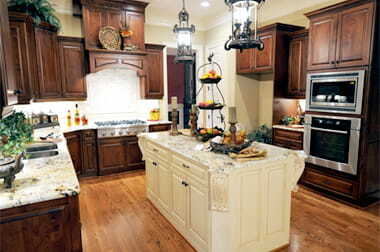 We keep our prices low so you can get the kitchen or bathroom of your dreams within your budget. Our personnel are specially trained in home design and renovation projects, which allows us to provide you with the best custom designs. At KDI, we feature the leading brands in the industry and custom fabricated options all made from the best materials available. 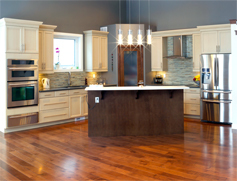 Our design team will help you choose from our vast selection of cabinets and countertop options. Custom Designs, Quality Products, and Customer Service Make KDI Great. Our designers are up-to-date on the latest trends in kitchen and bathroom design and the best tools and technology. We focus on getting you the right information and tools to make informed decisions on your project. We offer ideas, inspiration, advice, and expertise free of charge to every customer. Our know-how and dedication are what makes KDI the best choice for your renovation or DIY project. Sit down with our designers at our Trenton, Wyandotte, or Livonia locations to see our full line of products and solutions.